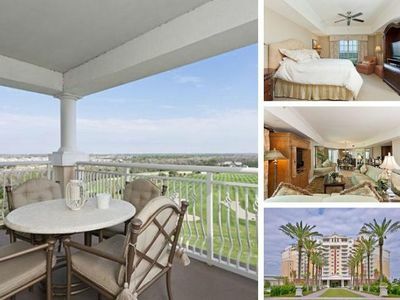 Luxurious and Spacious Condo that sets a new standard in the fabulous Reunion Grande! 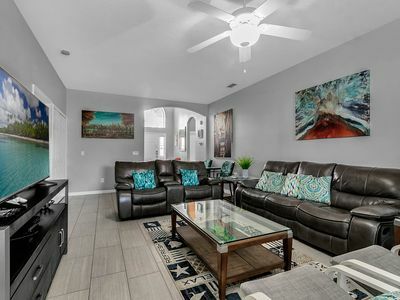 If you've ever thought that a Condo was a compromise, then think again after looking at this spacious and stunning 8th floor example at the Reunion Grande, Orlando. 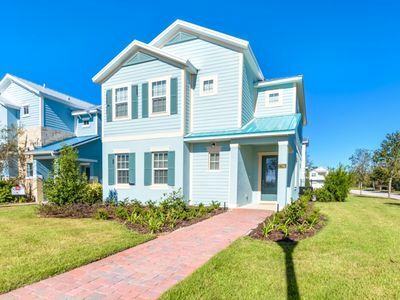 Set high above the resort, the fabulous views across the beautiful golf community are a beautiful way to begin the day with a balcony breakfast, or to watch the Walt Disney World fireworks in the warm Floridian air. 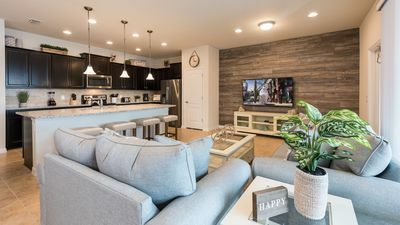 Deceptively spacious, and plenty of room for up to 6 guests to enjoy a dream vacation in comfort and style, this luxurious 2 bedroom condo is without doubt, not only one of the finest homes on Reunion Resort, but an incredible deal for guests seeking an amazing property at fabulous nightly rates! 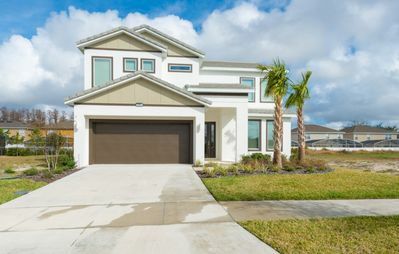 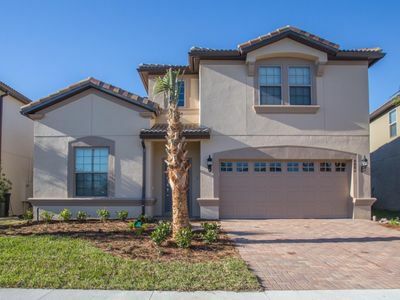 Luxury living in Orlando does not come any finer than this! 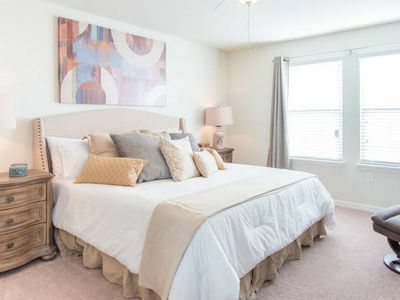 Why stay in another cramped hotel again, when you can enjoy the luxurious space and comfort of a beautiful condo like this. 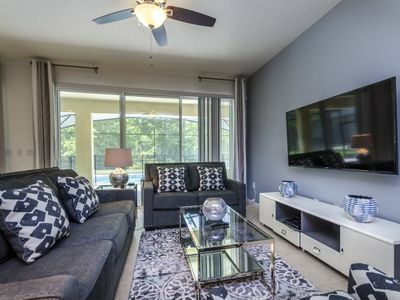 With a classically elegant design, the furnishings and decor throughout this condo offer an upbeat and very welcoming home from home in Reunion Resort, Orlando. 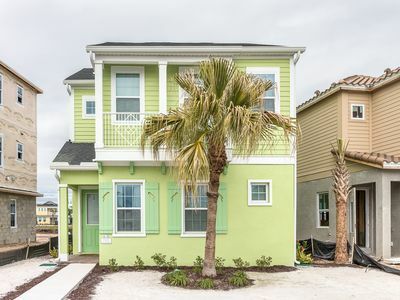 6 guests have their own fully equipped kitchen, 3 seat breakfast bar, dining table for 4, and a beautiful open layout with a comfortable living area and TV/DVD. 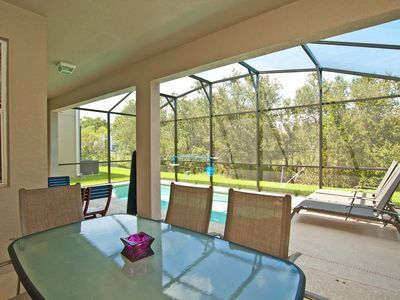 A stunning balcony provides spectacular views looking out over the golf courses and Disney Resorts beyond. 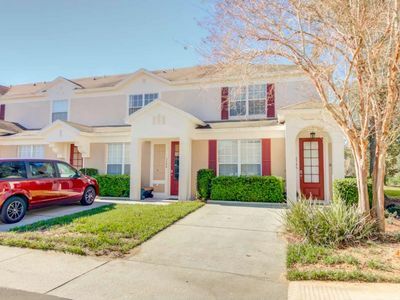 A king sized bedroom suite and a further suite with two queen sized beds ensure a great night's sleep before your next day of fun and adventure in the theme parks, golf courses and attractions of Central Florida. 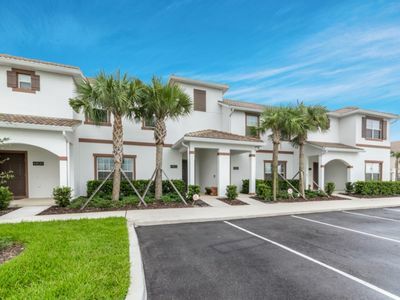 This is one of the finest luxury condos in Reunion Resort and its location right in the very heart of this luxury resort makes it a perfect choice for guests that love the convenience of the Restaurants and amenities of the 11 floor Reunion Grande main building. 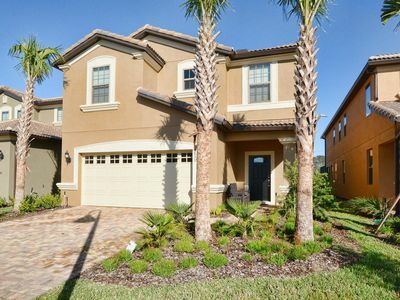 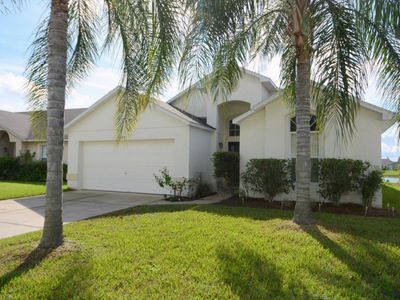 Perfect for families or two couple looking for something very special in Orlando! 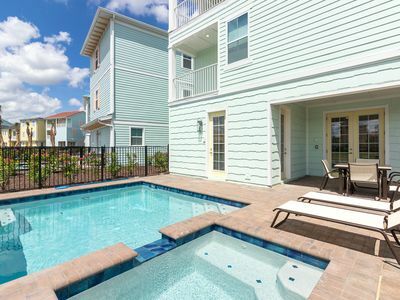 This luxury condo is just 12 Minutes from Disney (5.5 miles) and around 60 minutes from the Gulf and Atlantic coasts. 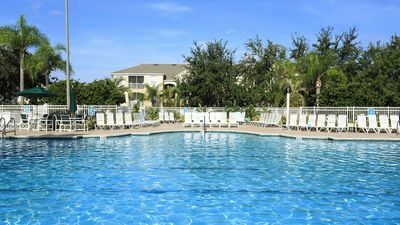 Set on the 8th floor of the Reunion Grande main building, the Condo is only minutes away from the resort's central amenities. 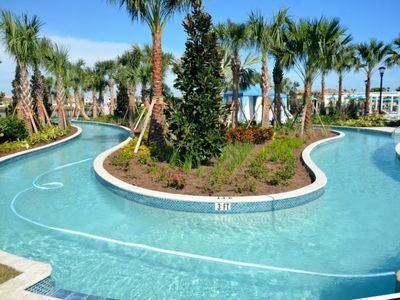 The Orange County Convention Centre is just 20 minutes away, and the entire area provides literally dozens of top class golf courses for the keenest of golfers to challenge their skills! 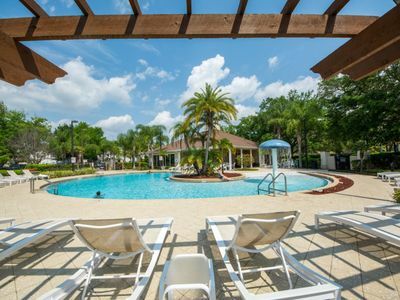 Large local grocery stores are literally minutes away from your doorstep and the Formosa Garden area is just a short drive away, providing a huge selection of family friendly restaurants. 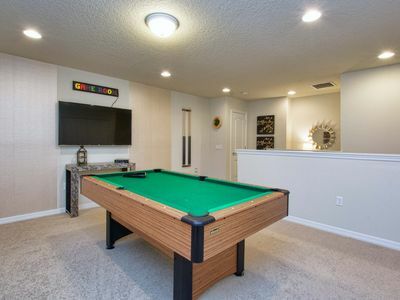 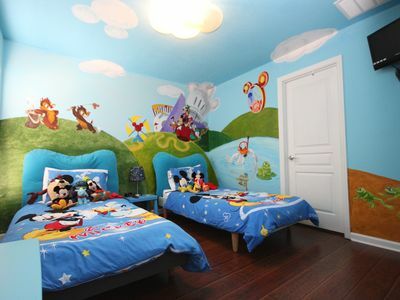 GAMEROOM, 2 MASTER SUITES, MODERN, BEAUTIFULLY DECORATED! 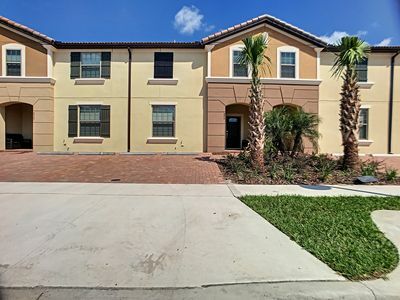 BRAND NEW - SUN SOAKED SPECTACULAR TOWNHOME!